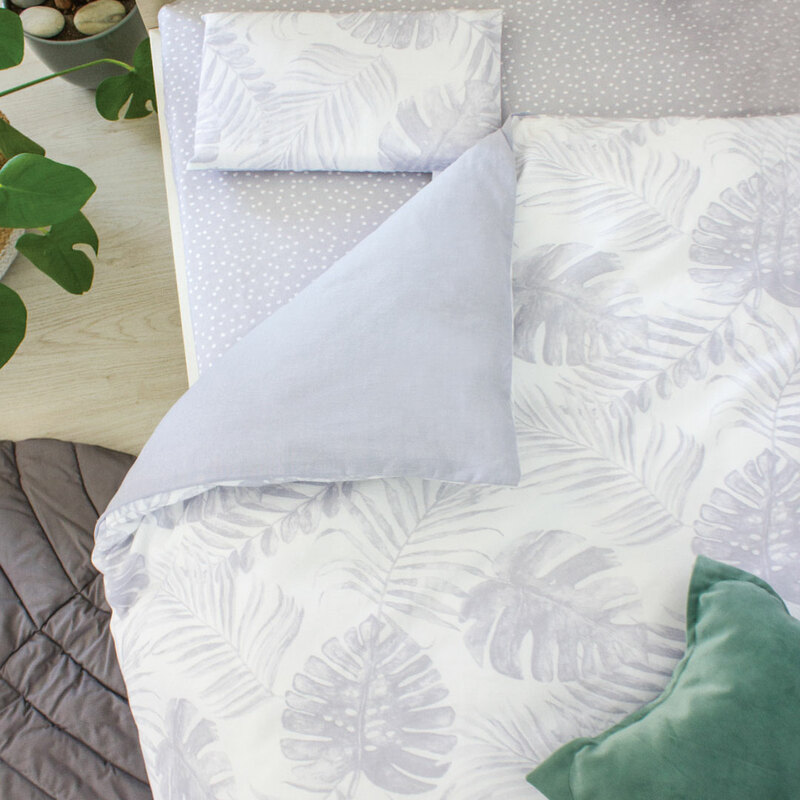 Tropical holiday all year round? Count us in! 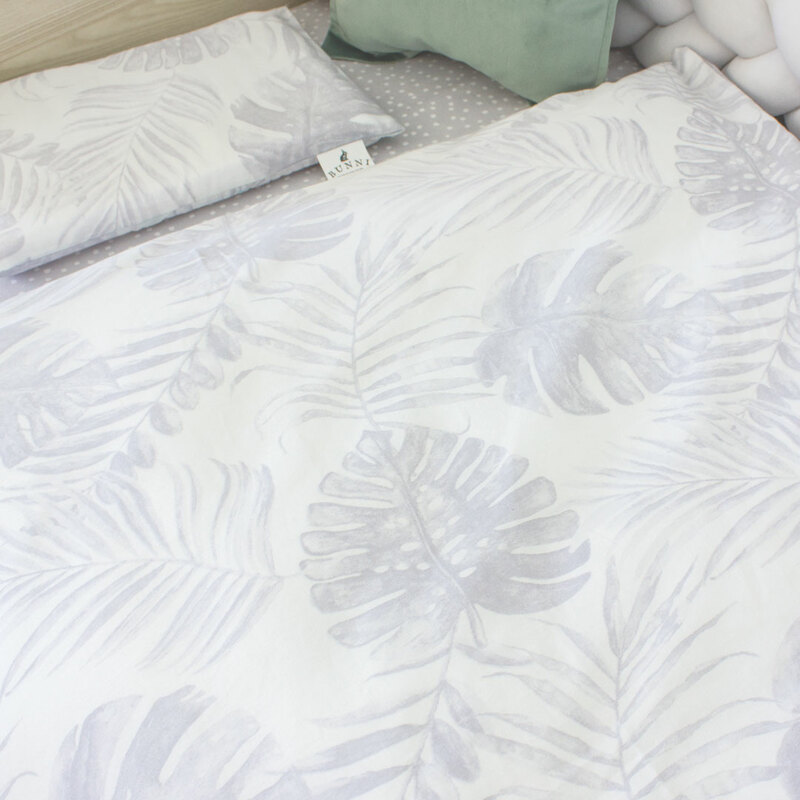 Our Grey Tropical Leaf Cot Set is so lush your little one is basically napping on a summer island. 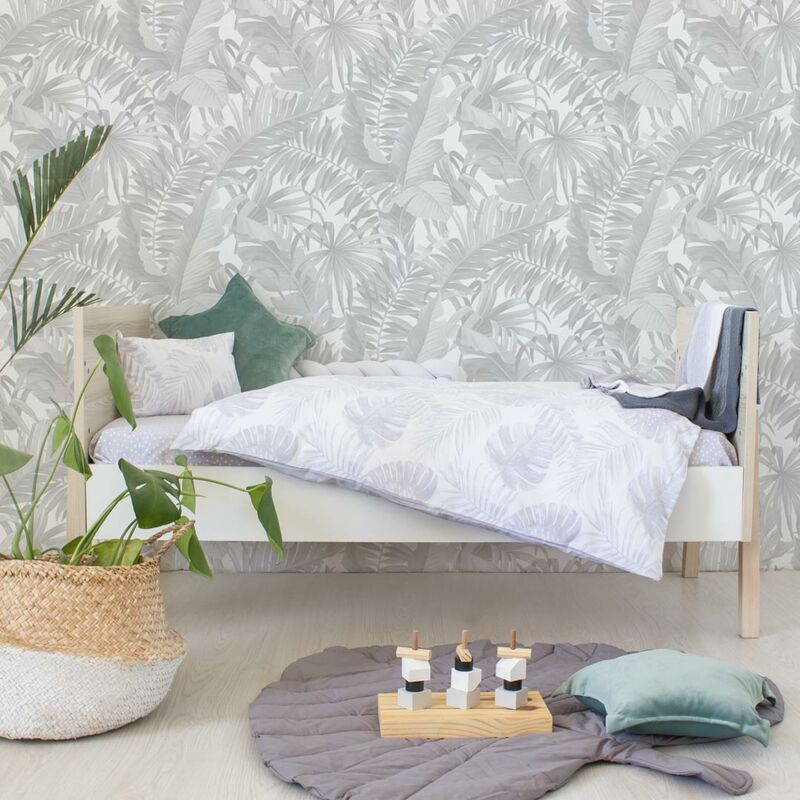 The Grey Tropical Leaf Cot Set by Bunni features wispy grey leaves on a white background with solid grey on the other side. 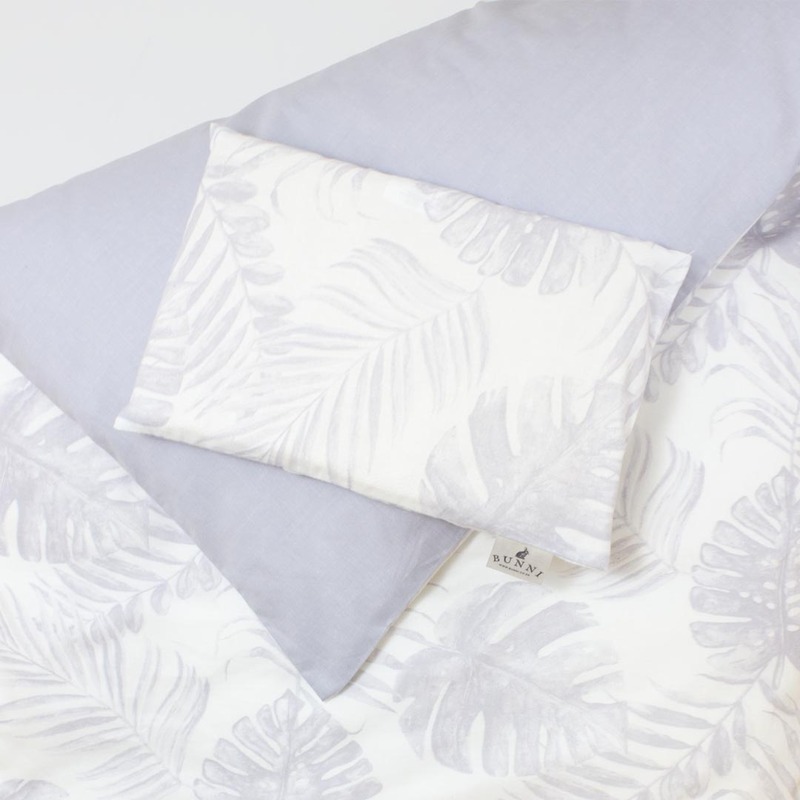 This gorgeous cot duvet cover set from Bunni is printed onto 100% cotton and offers an alternate styling option on the reverse. This unisex cot set will send your baby to dreamland in no time!